Good resume objectives help your resume stand out from among hundreds that arrive daily on the recruiter's desk. With so many people applying for the same job, recruiters use the objective statement as a snapshot of each candidate and decide in a matter of seconds whether or not they will put the resume on the "Must Contact" pile, the "Maybe" pile or the "Rejection" pile. 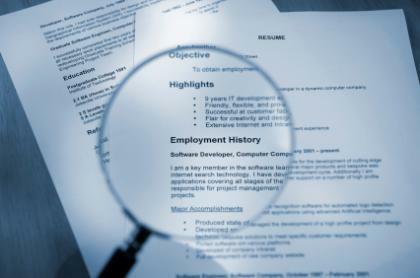 Make sure your resume stands out in a positive way. is tailored to the specific job to which you are applying. talks mostly about what you want.